Already in the years between 1919-1928, when the chair for Archaeology was implemented, the establishment of a collection of originals at the University of Cologne was considered. After several attempts to present the collection in a museum, the first objects were acquired in 1929 after the nomination of Prof. Dr. Andreas Rumpf as professor for Archaeology. At this point, the funders of the previous plans were no longer willing to support the undertaking, which severely limited the budget for the acquisition of originals. Even without appropriate funding, a collection of originals was considered to be a necessity for teaching. The collection gained large additions from Mrs. Luise Horadam in 1931, who donated 280 exhibits of her brother, Consul Gustav Windscheid's, collection to the Archaeological Institute. This collection is mostly made up of terracottas and pottery that originate from southern Russia. A year later, in 1932, the University asked the Wallraff-Richartz-Museum to hand over a “well selected number of original antiquities” to the Archaeological Institute, which lead to a transfer of 58 objects from the Collection of Carl Anton Niessen. 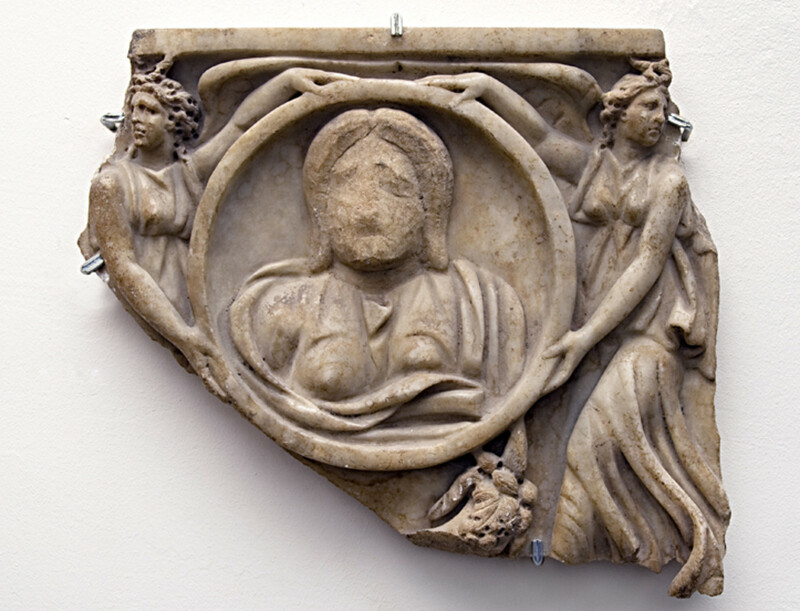 Thus, the institute obtained sculptures, ash-urns and pottery from lower Italy and Athens on loan. Several donations by J. I. Hittorf were made in 1936. Hittorf contributed polychrome architectural elements, wall plaster, clamps and clay altars from Sicily and lower Italy. The cast collection of the Archaeological Institute was to gain more material in the years from 1929-1933. 181 exhibits arrived from the Academic Art Museum in Bonn, the seminars in Leipzig, Dresden, Berlin and Paris. During the second world war, no acquisitions were made, although several objects fell victim to destruction or were lost. The entire cast collection was destroyed and 185 out of 295 originals were lost. The postwar holdings were thus decimated to 110 originals and financing for new acquisitions was not available. It was only in the 50s (1953-1959) that new exhibits could be bought by Andreas Rumpf and Tobias Dohrn. 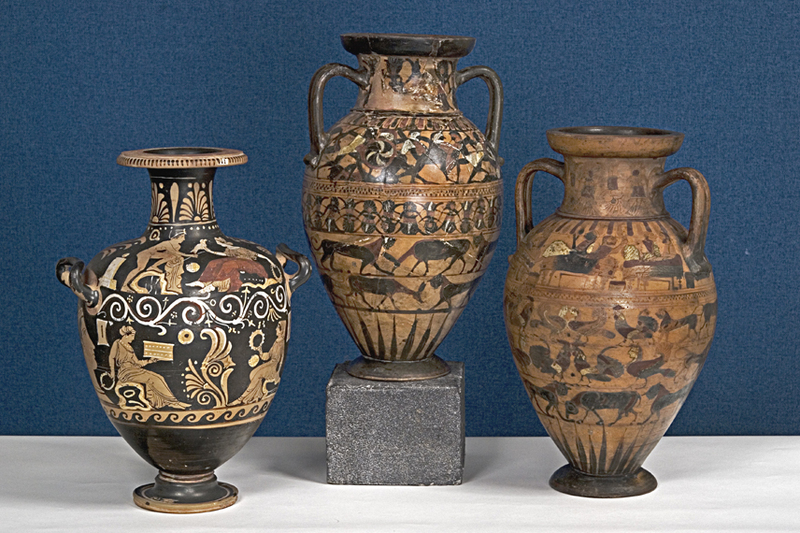 The purchases were mostly Greek vases and made possible by private loaners and the Association of Friends and Supporters of the University of Cologne (Verein der Freunde und Förderer der Universität zu Köln). The collection has been reduced again in 1972 because the Academic Art Museum Bonn asked for the return of the loaned casts. The move into the Küpperstift in 1973 caused the loss of some objects, though they have been rediscovered in later years. Since 1989 objects from the Collection of the Max-Freiherr-von-Oppenheim-Stiftung are housed in the Archaeological Institute as a loan. It is comprised of 173 prehistoric to modern exhibits for the most part originating in the Near East. The collection is made up of vessels, terracottas, glasses, sculpture, casts and reconstructions that were previously housed in the Tell Halaf Museum in Berlin beginning in 1930. After its destruction, the exhibits were stored in parts in Berlin and London before they made their way to Cologne. In the years from 1989 onwards, numerous individual donations were made by private persons, in the form of originals and casts. Currently. 634 exhibits of the Collection of the Archaeological Institute, 173 exhibits of the Collection Oppenheim, 80 longterm loans of the Sammlung Niessen and 45 casts of ancient sculpture and architectural elements are house in the Archaeological Institute. Many of the original pieces have been lost due to the second world war. Their changing history has been shown by H. v. Hesberg and K. Berger in a publication. The collection comprises pottery, glasses, terracottas, gems, bronzes, coins, marble sculpture, architectural elements and jewelry pieces. The collection can be seen in 9 displays and some cabinets, that are distributed in the library and the building of the institute. Exhibits can be shown with previous agreement.